The Battle of Culloden in 1746, the last pitched battle ever fought on British soil, saw the defeat of Bonnie Prince Charlie and the end of the Jacobite dream when 1200 Highlanders were slaughtered by government forces in a 68-minute rout. The duke of Cumberland, son of the reigning king George II and leader of the Hanoverian army, earned the nickname ‘Butcher’ for his brutal treatment of the defeated Scottish forces. The battle sounded the death knell for the old clan system, and the horrors of the Clearances soon followed. The sombre moor where the conflict took place has scarcely changed in the ensuing 260 years. 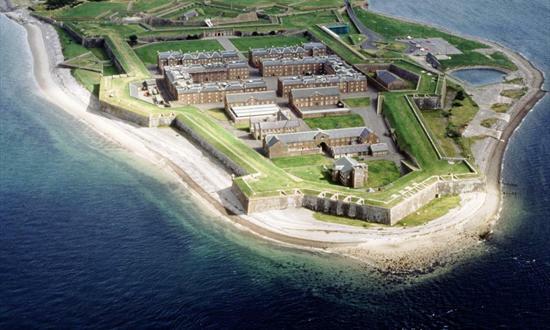 The headland guarding the narrows in the Moray Firth opposite Fortrose is occupied by the magnificent and virtually unaltered 18th century artillery fortification of Fort George. One of the finest examples of its kind in Europe, it was established in 1748 as a base for George II’s army of occupation in the Highlands – by the time of its completion in 1769 I had cost the equivalent of around £1 billion in today’s money. The mile-plus walk around the ramparts offer fine views out to sea and back to the Great Glen. Given its size you need a good few hours to do this place justice. To organise your visit on your Scotland tour contact us now!